A nice, simple site using SQUARESPACE The platform certainly has its limitations, so if you’re not fussy, then sqaurespace might be a good solution for you. Incorporated in 1990, J.R. 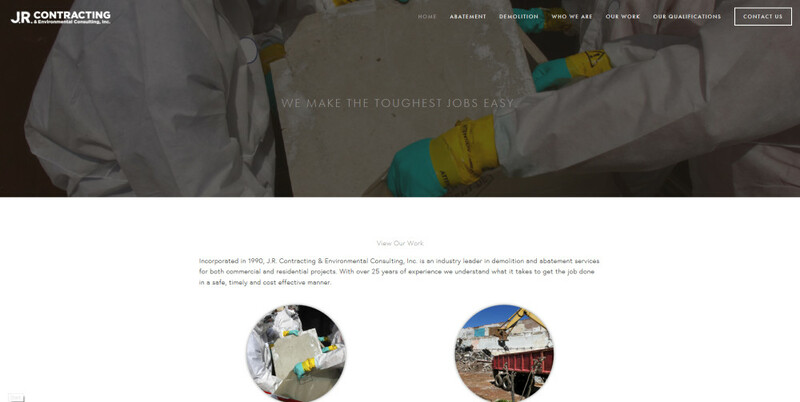 Contracting & Environmental Consulting, Inc. is an industry leader in demolition and abatement services for both commercial and residential projects. With over 25 years of experience we understand what it takes to get the job done in a safe, timely and cost effective manner.